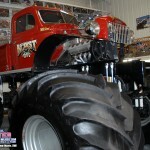 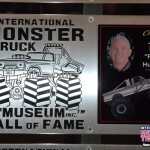 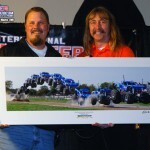 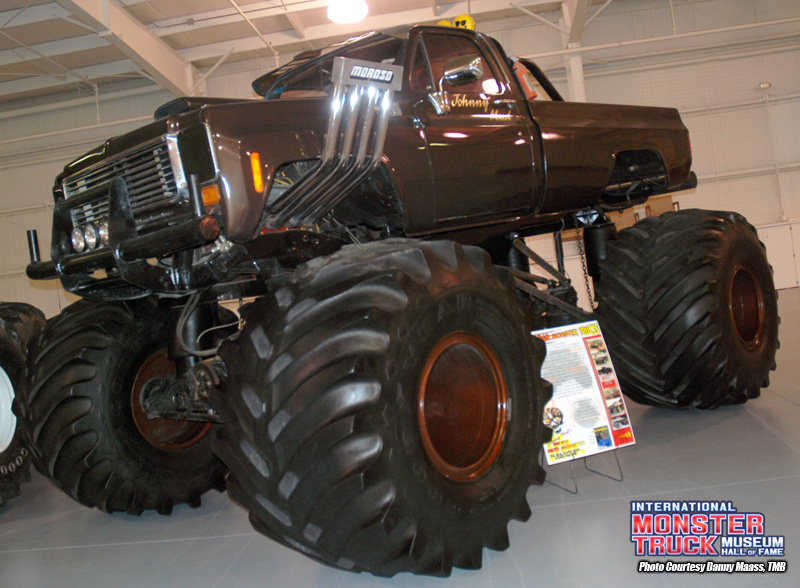 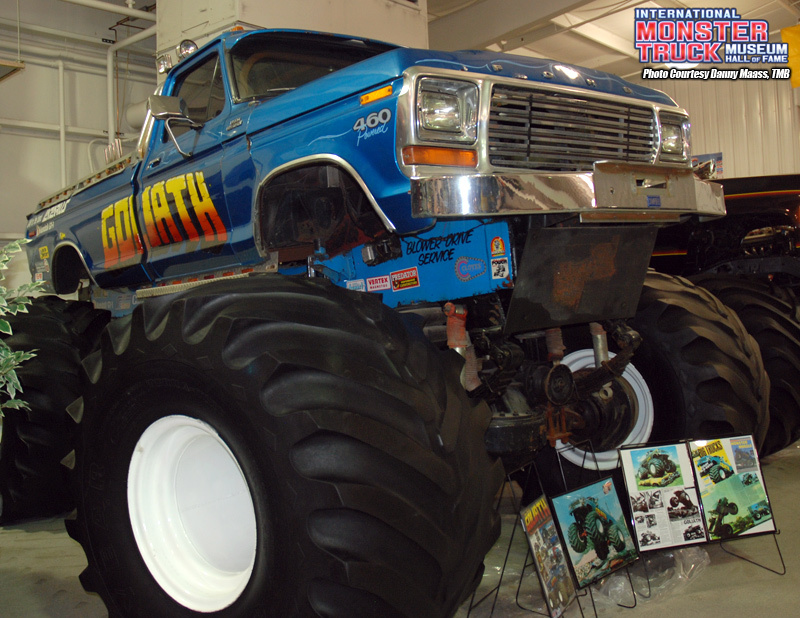 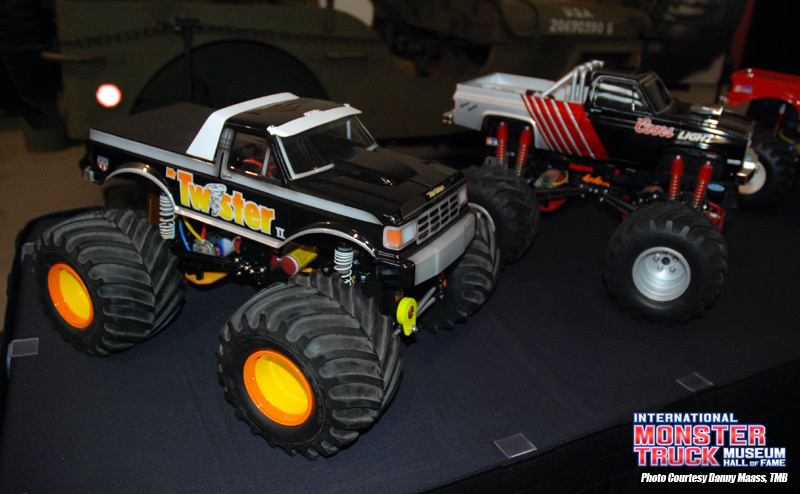 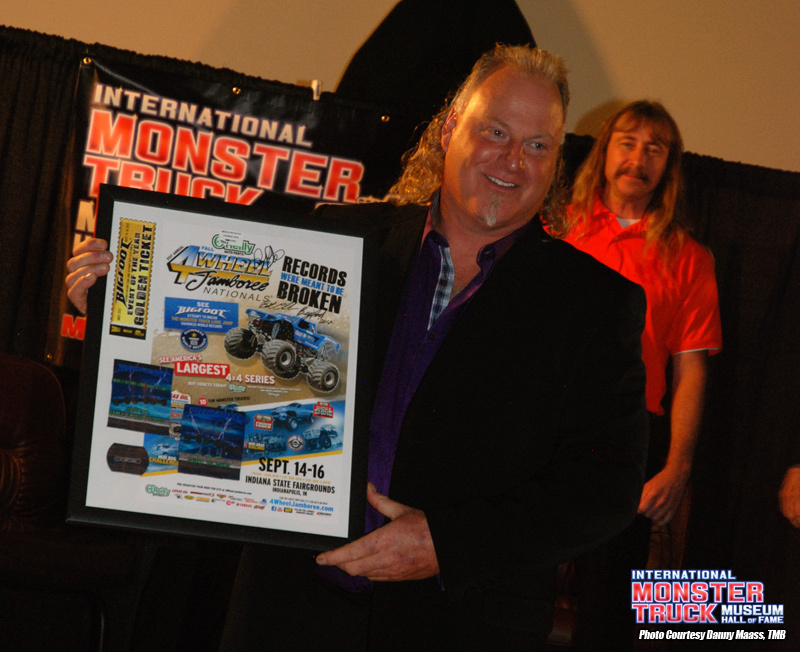 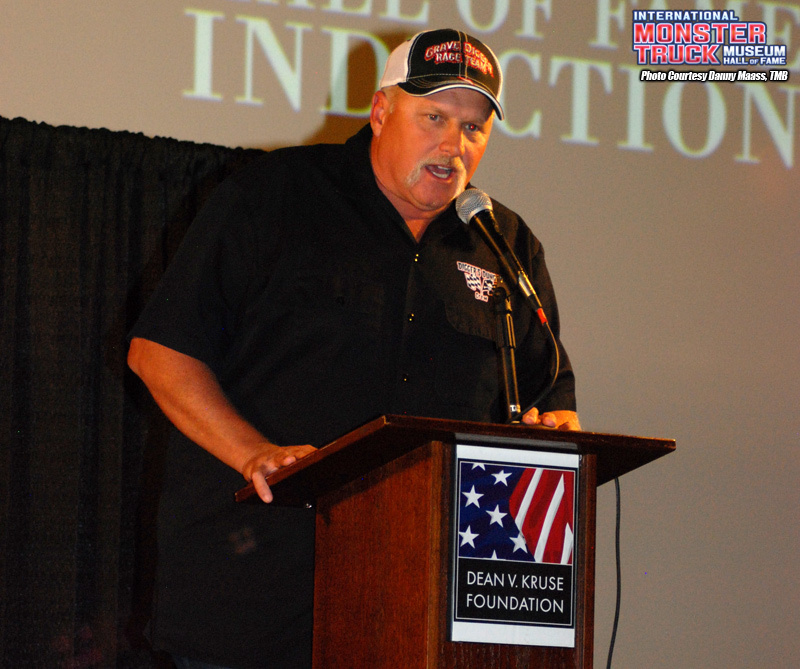 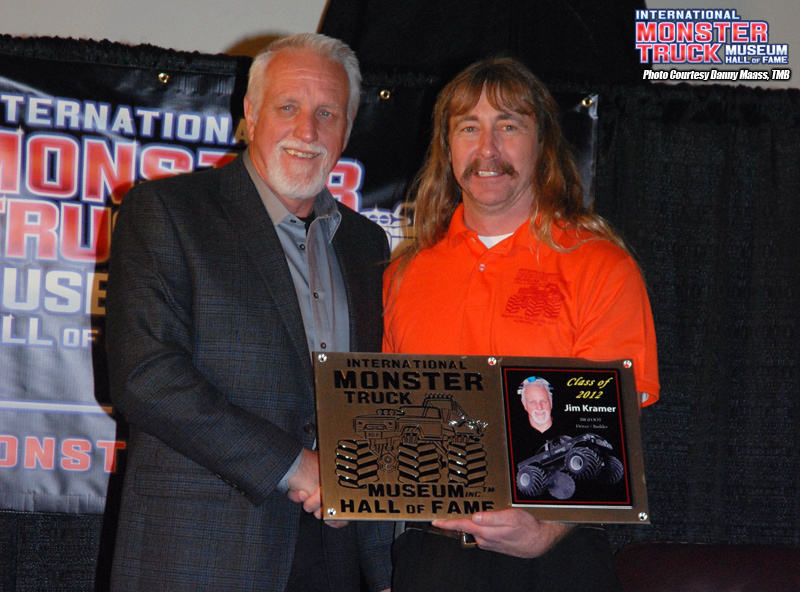 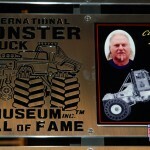 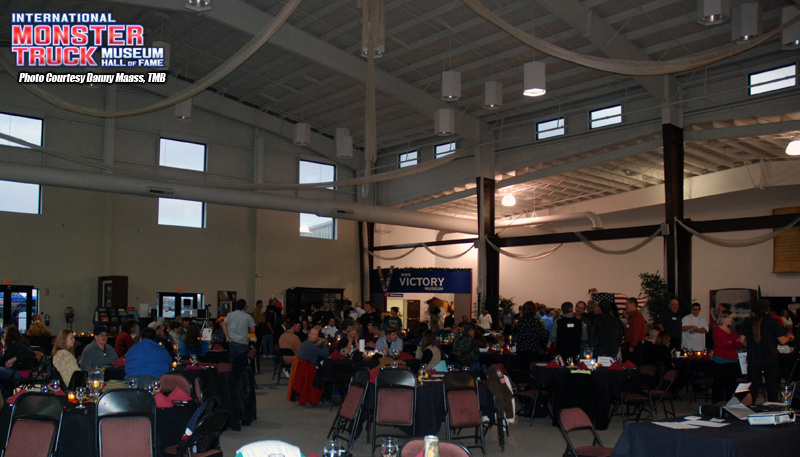 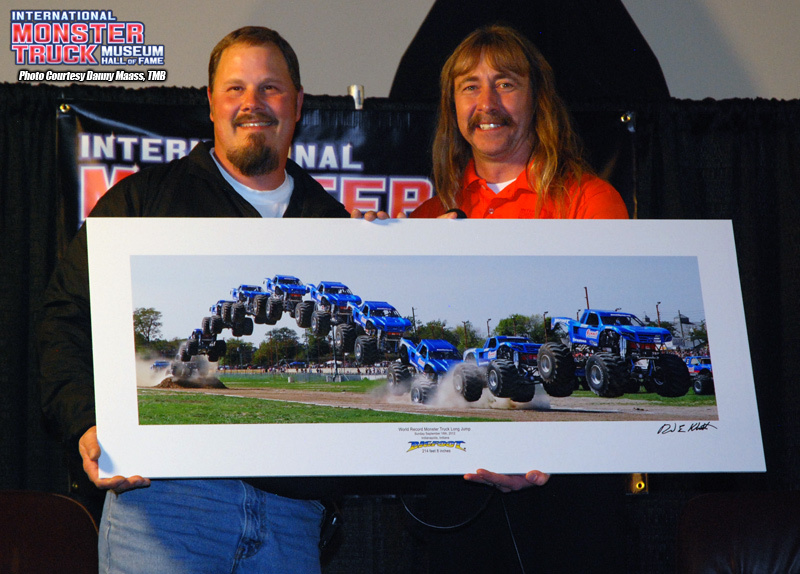 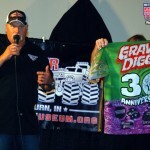 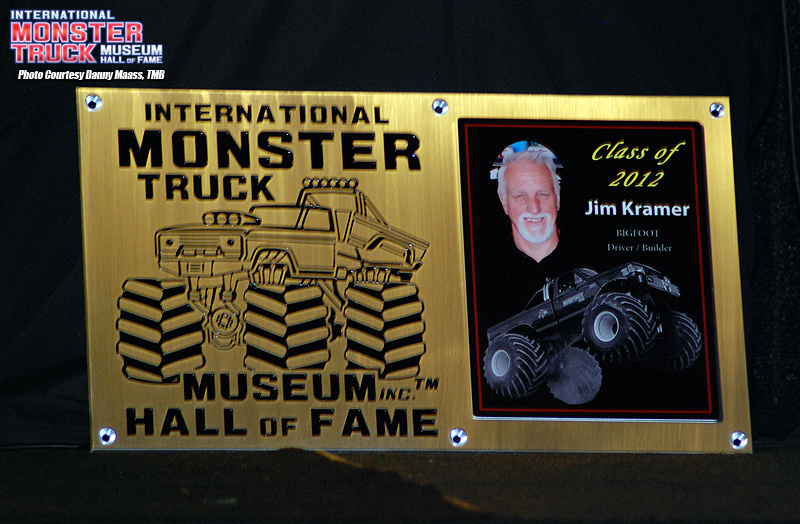 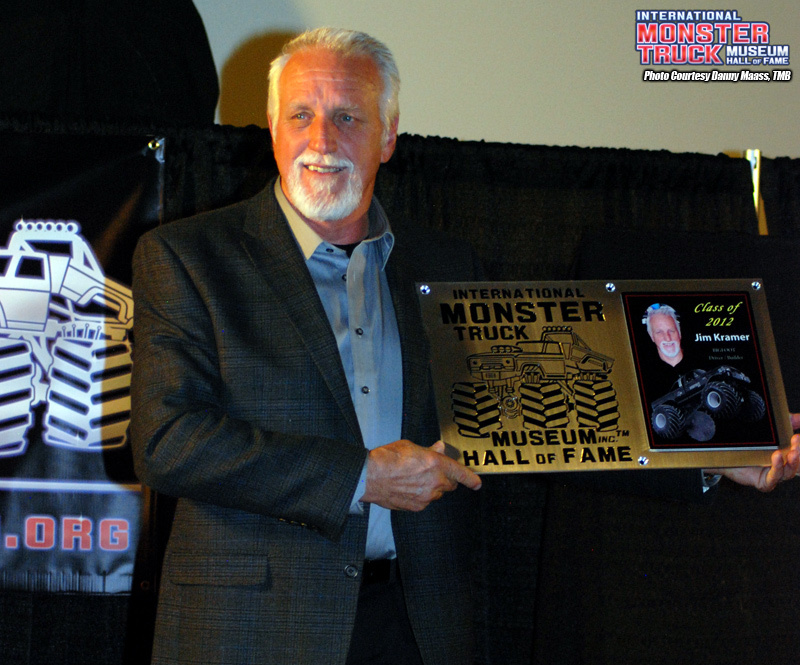 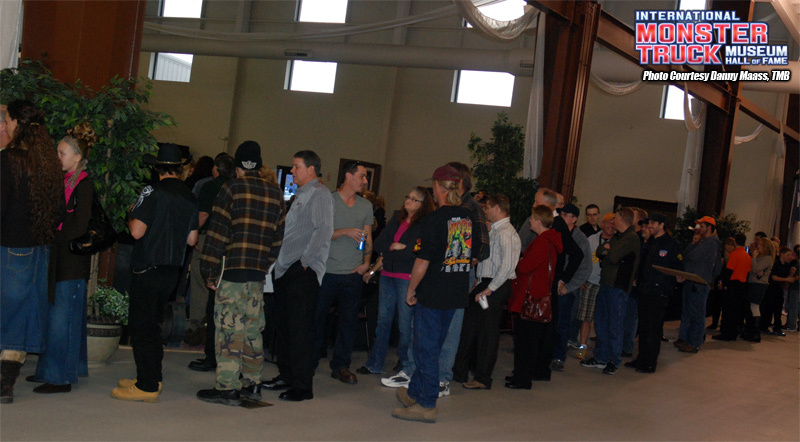 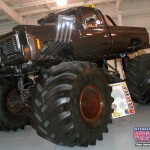 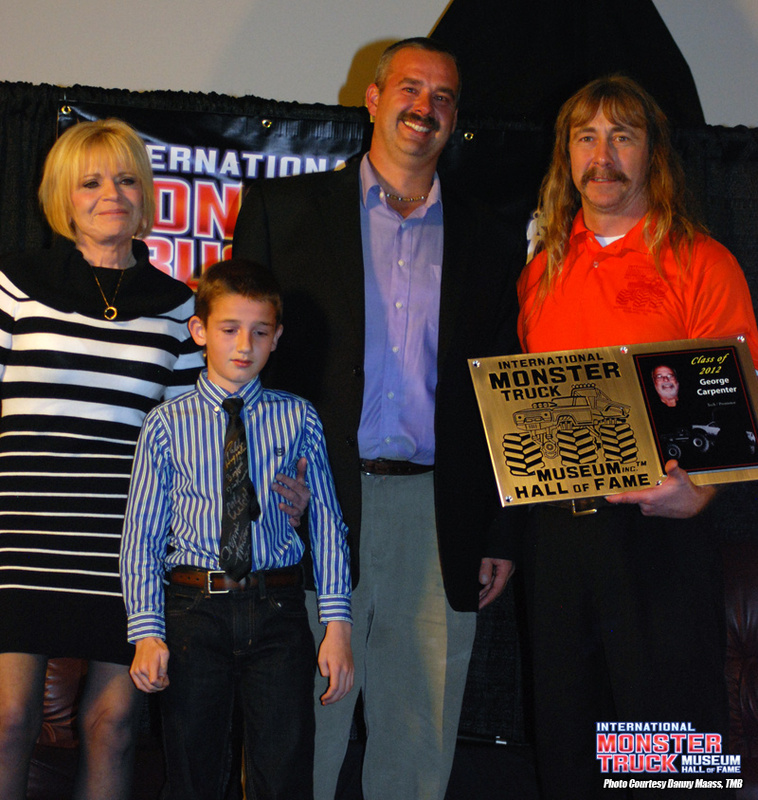 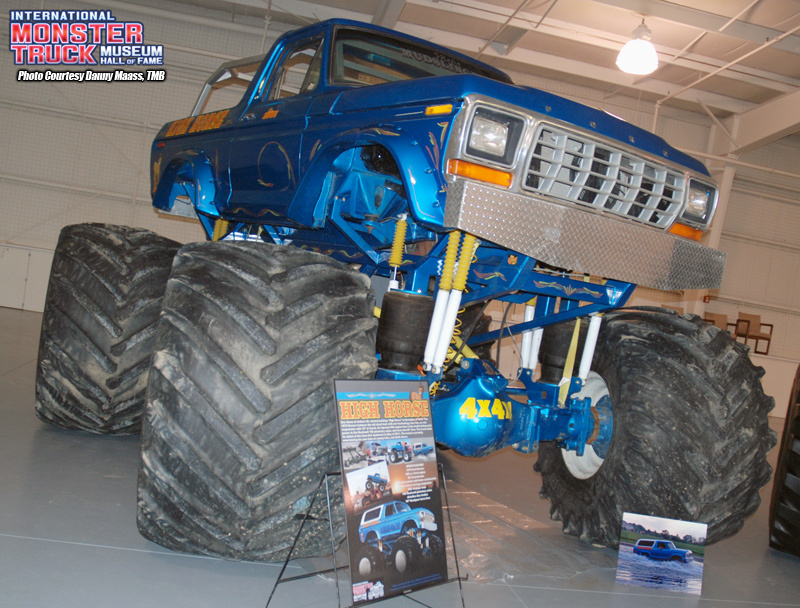 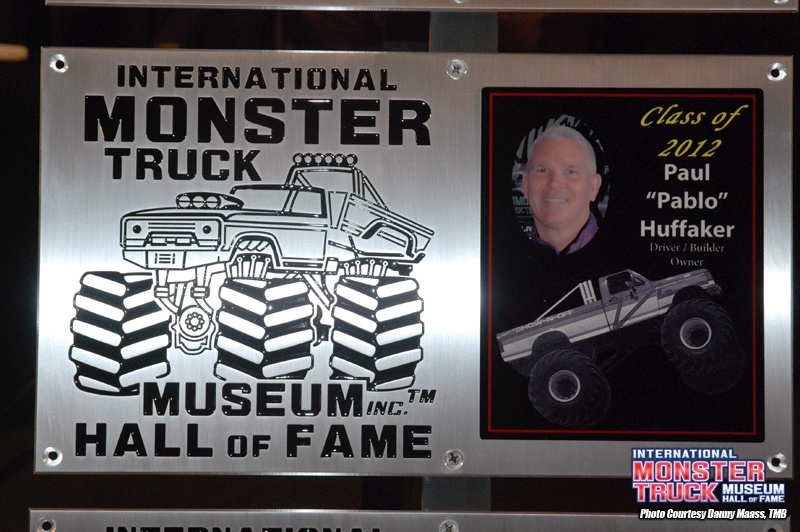 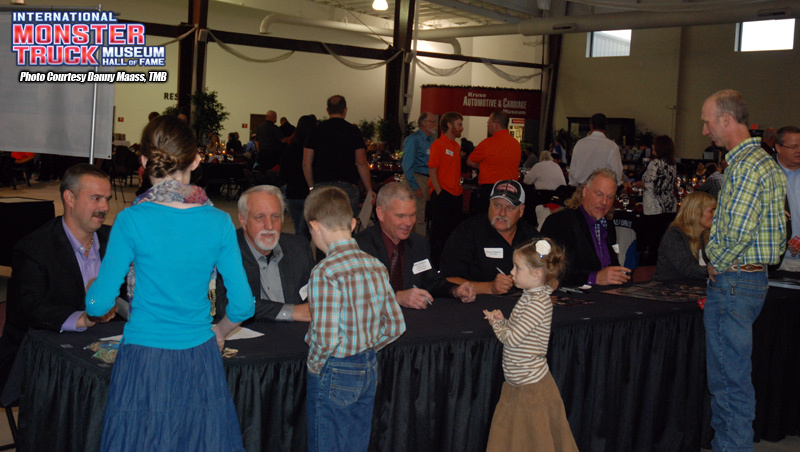 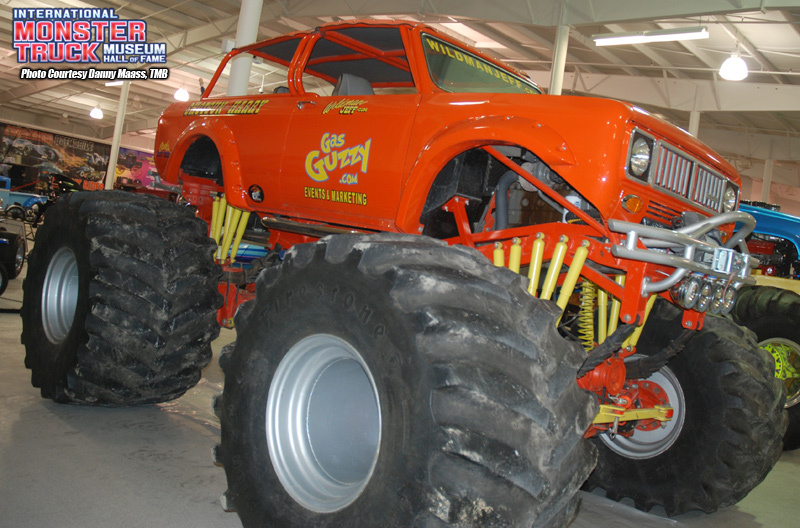 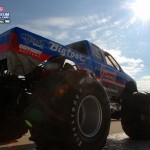 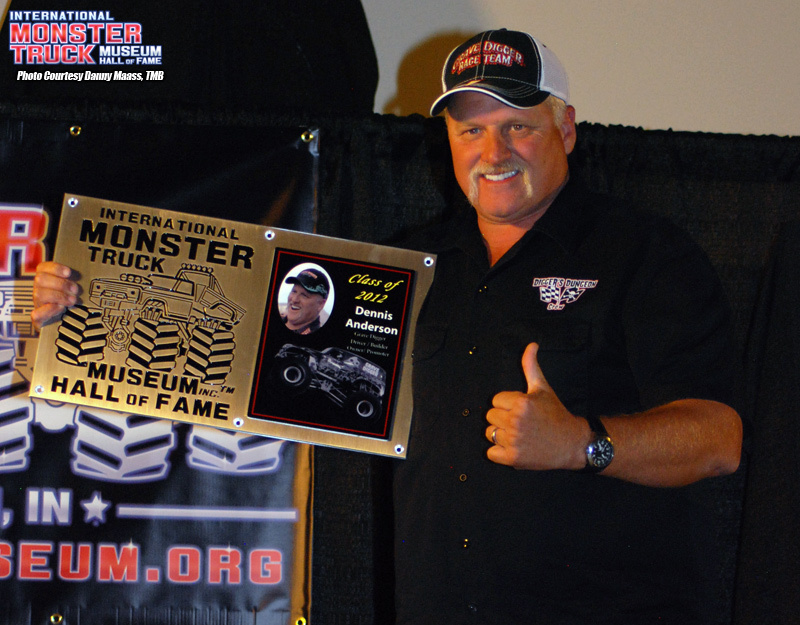 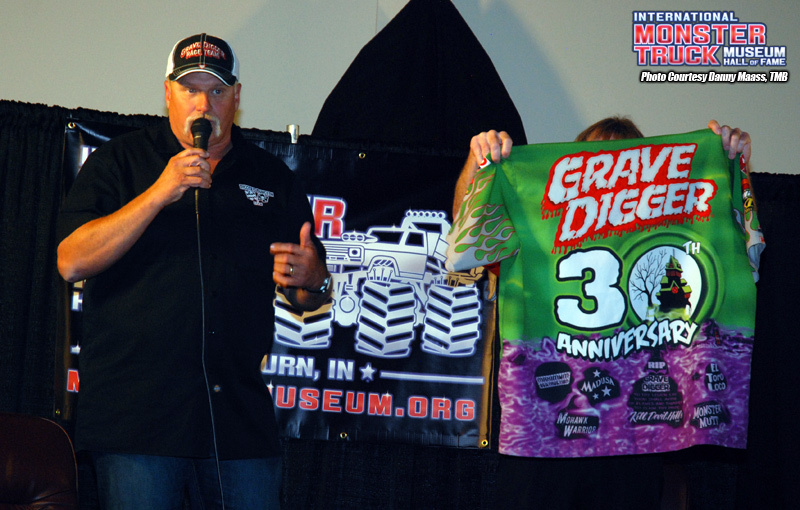 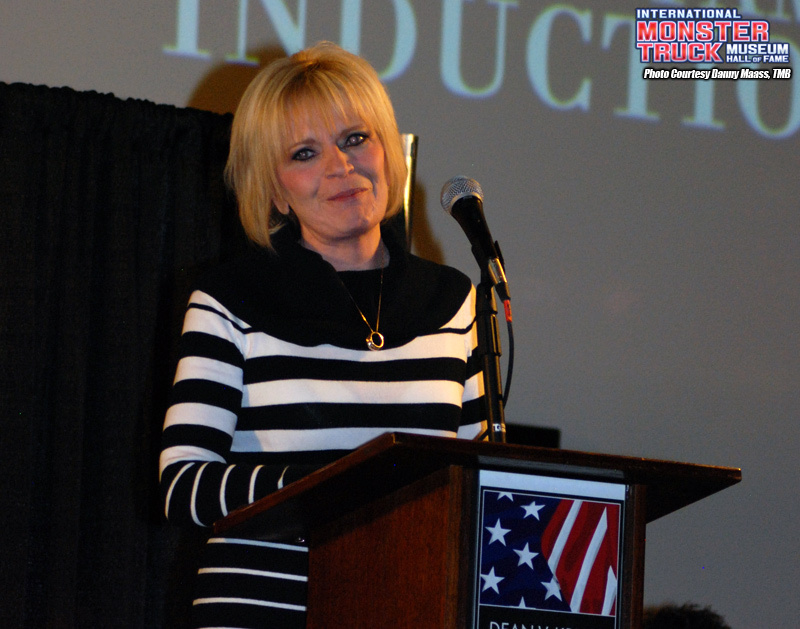 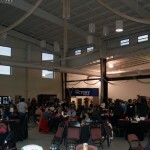 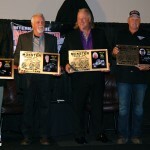 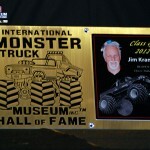 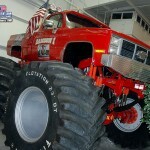 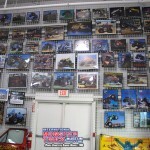 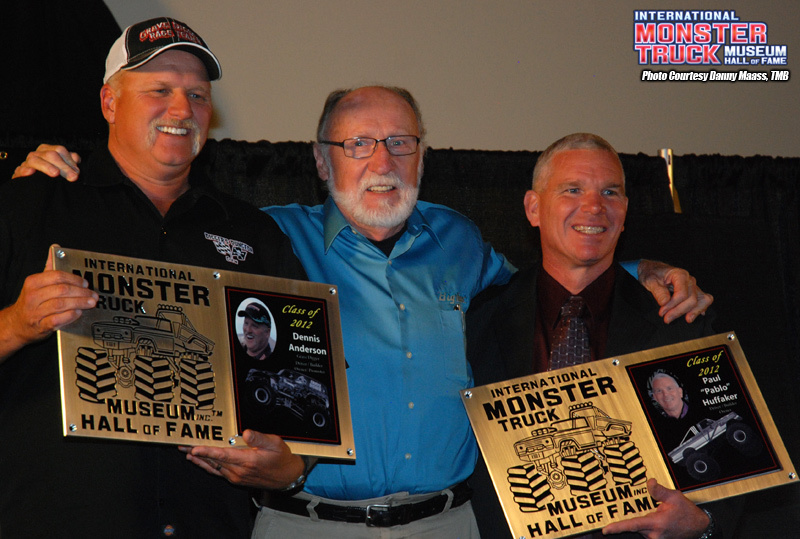 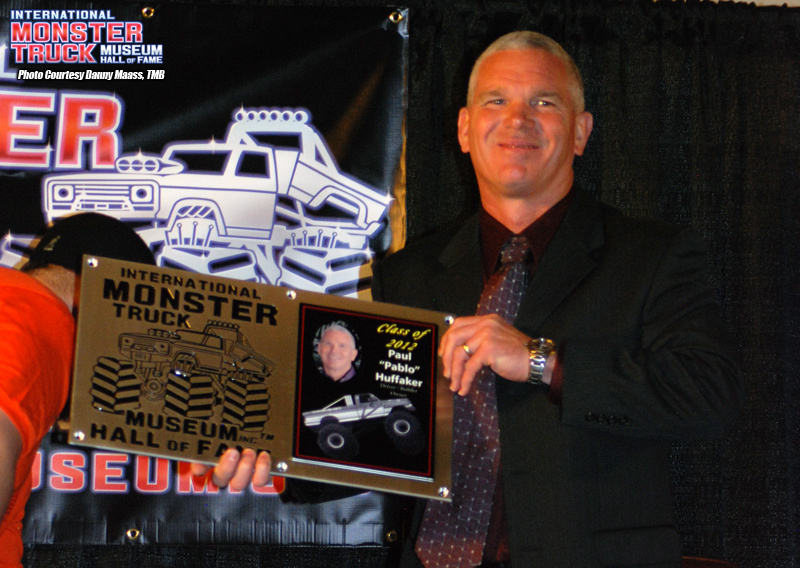 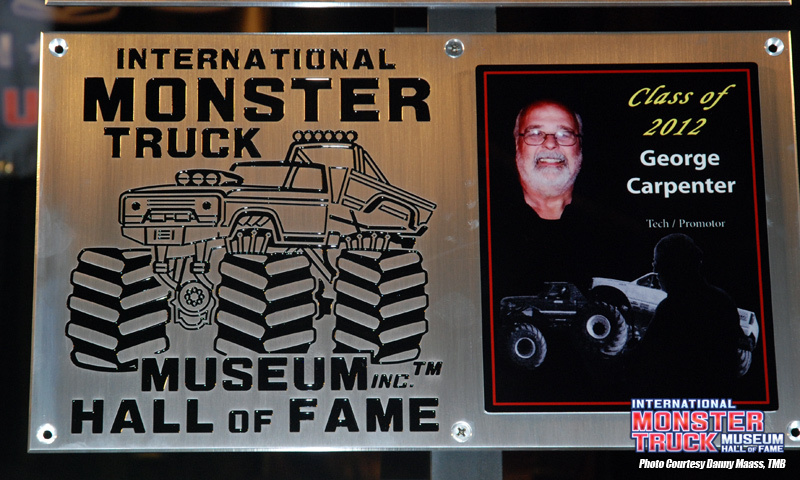 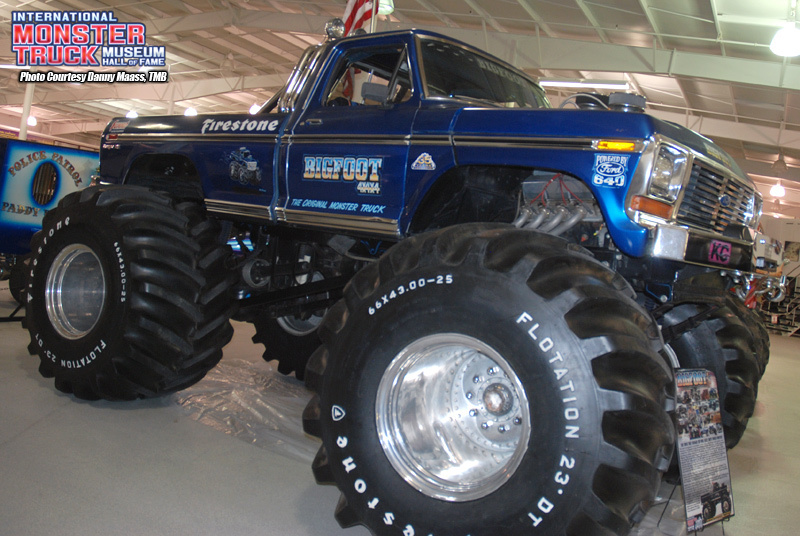 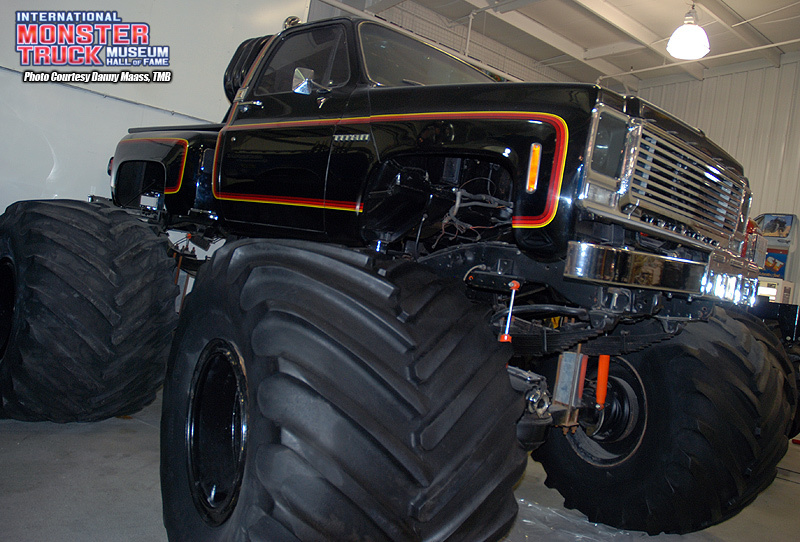 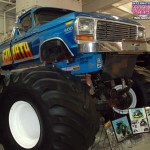 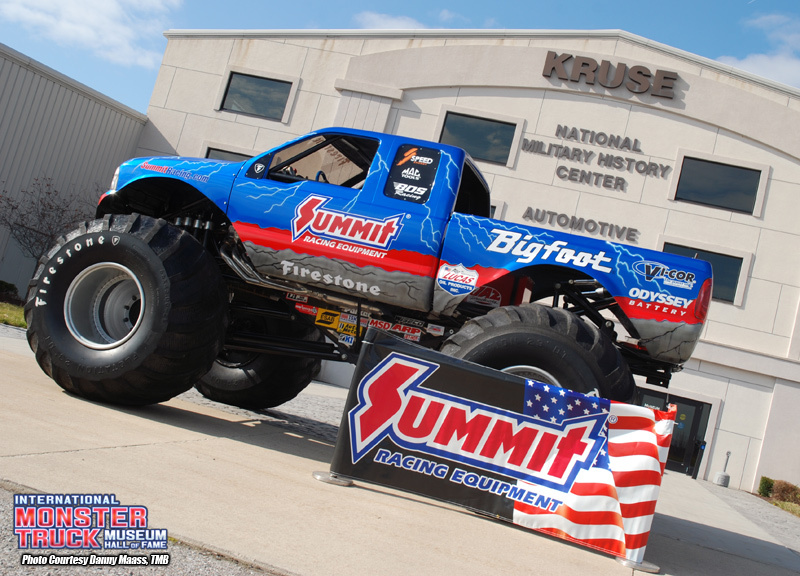 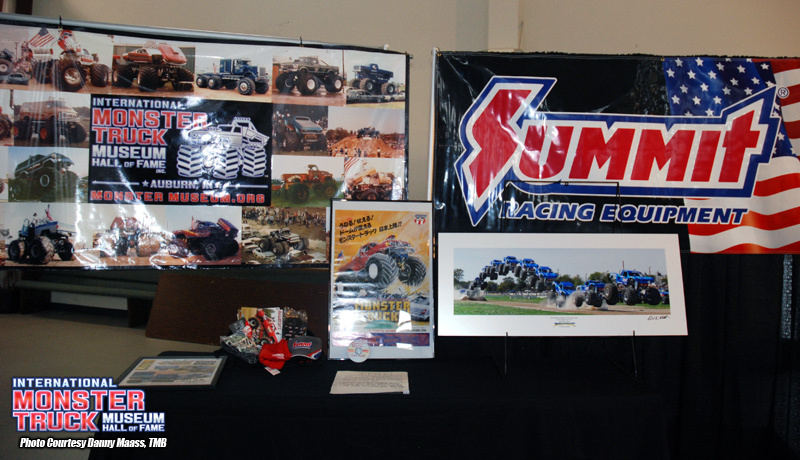 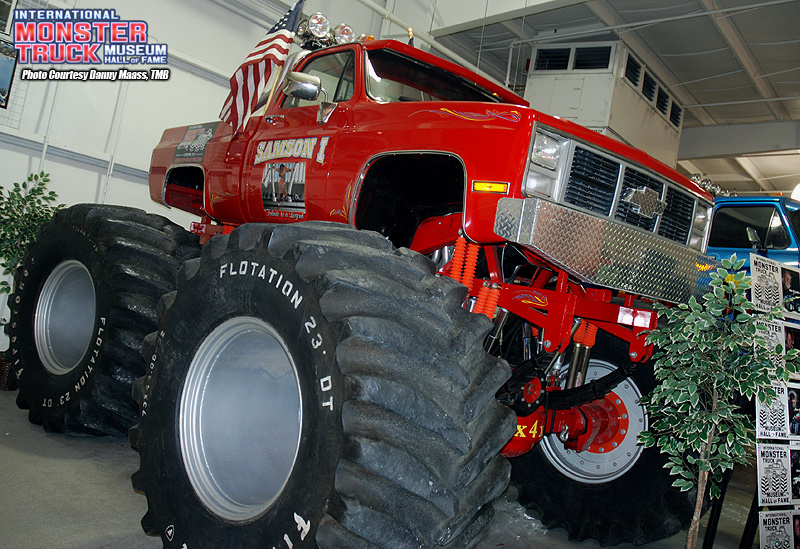 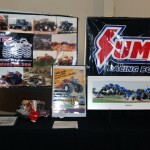 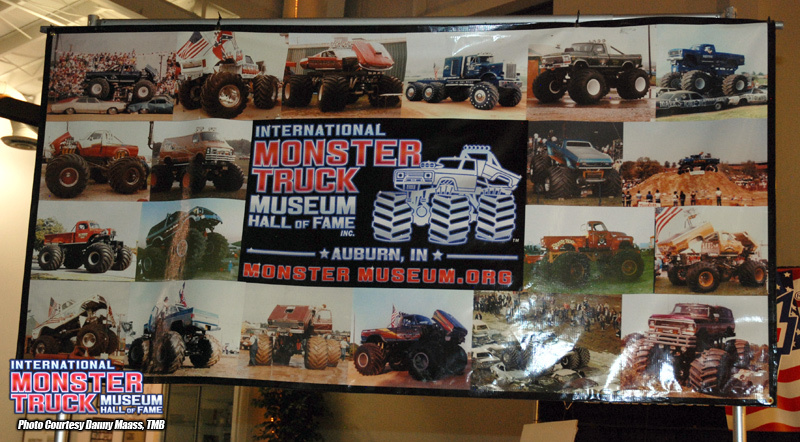 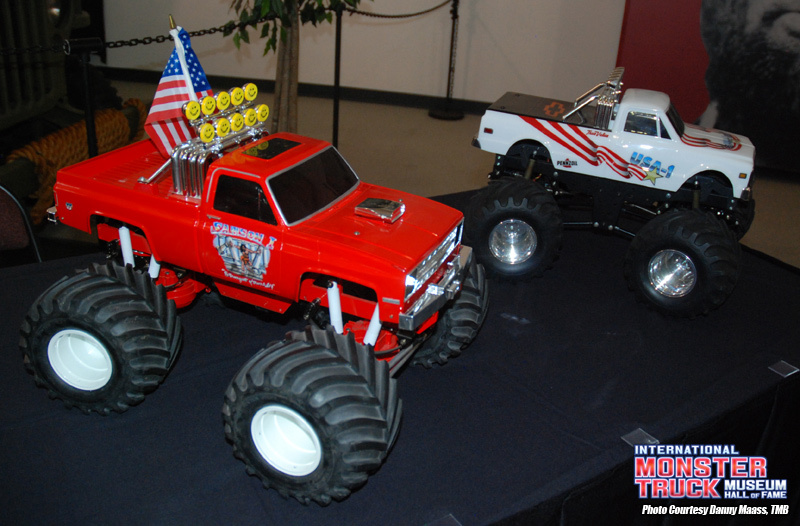 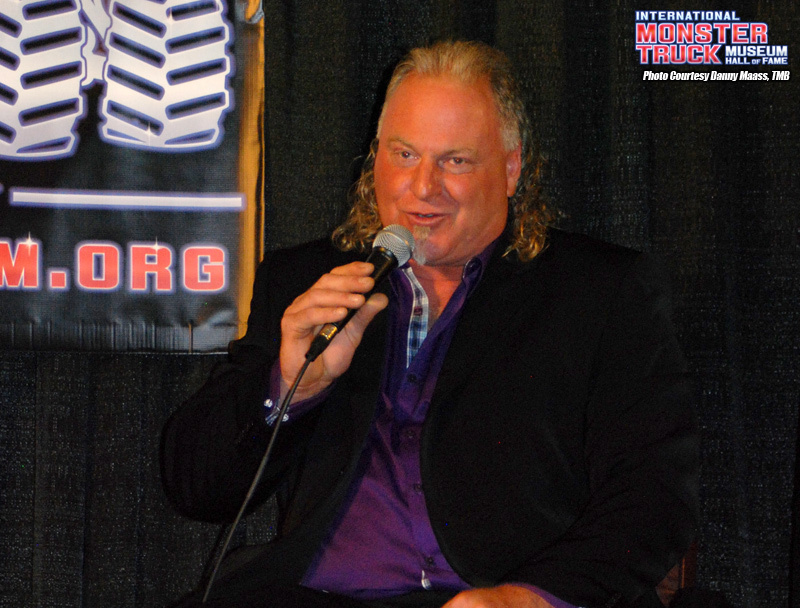 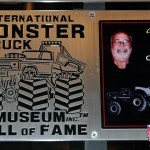 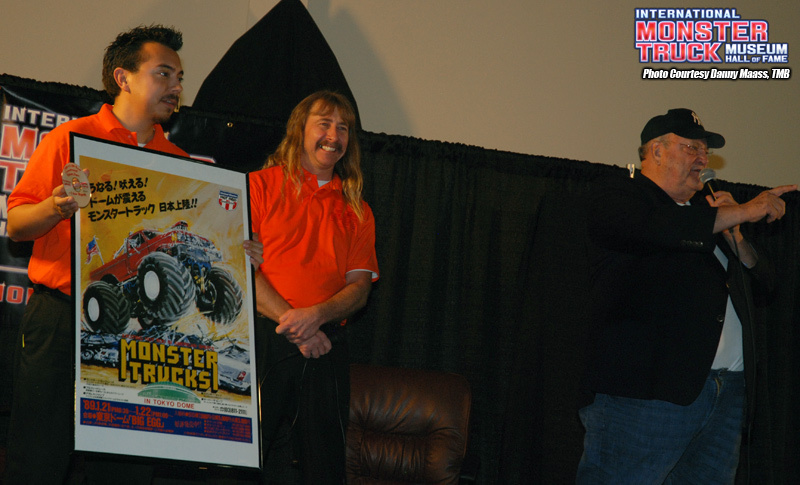 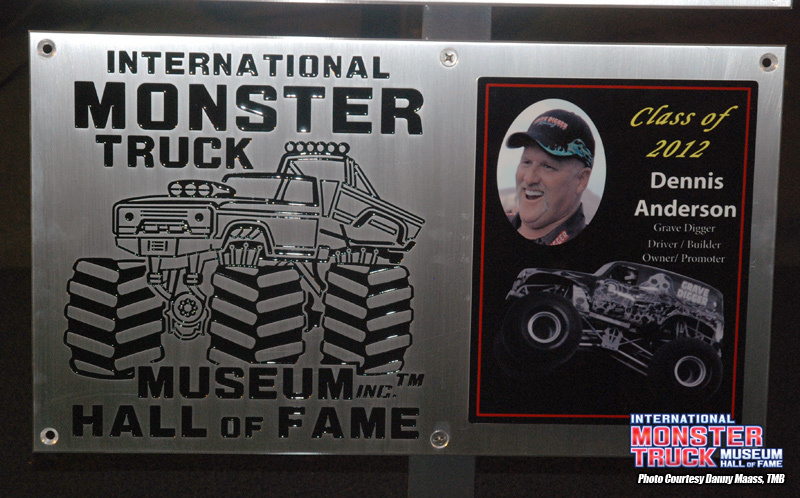 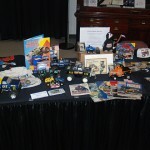 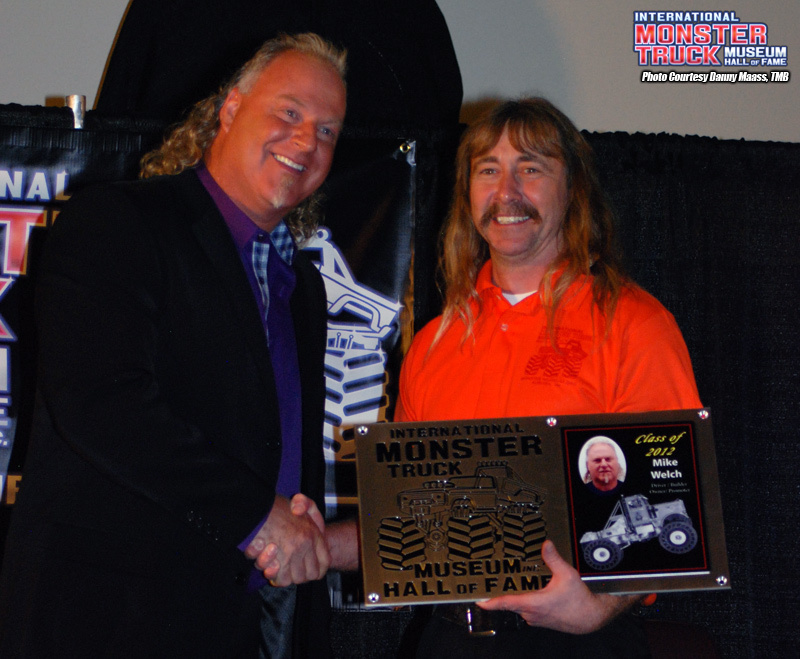 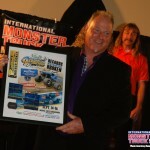 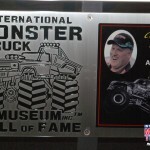 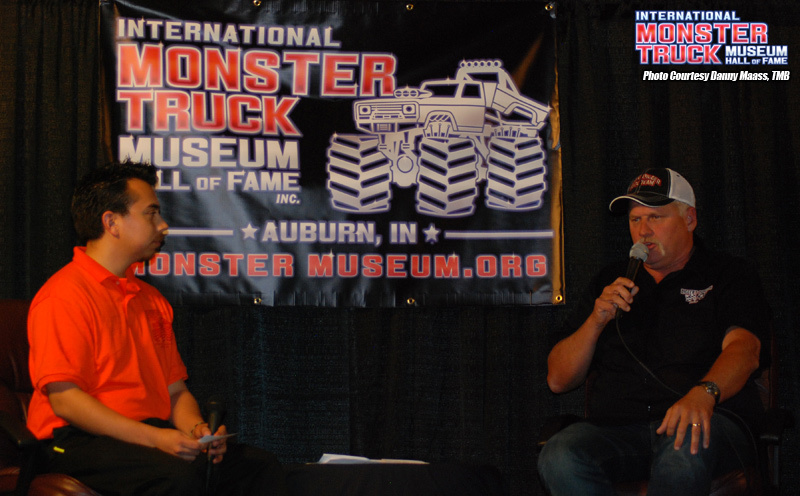 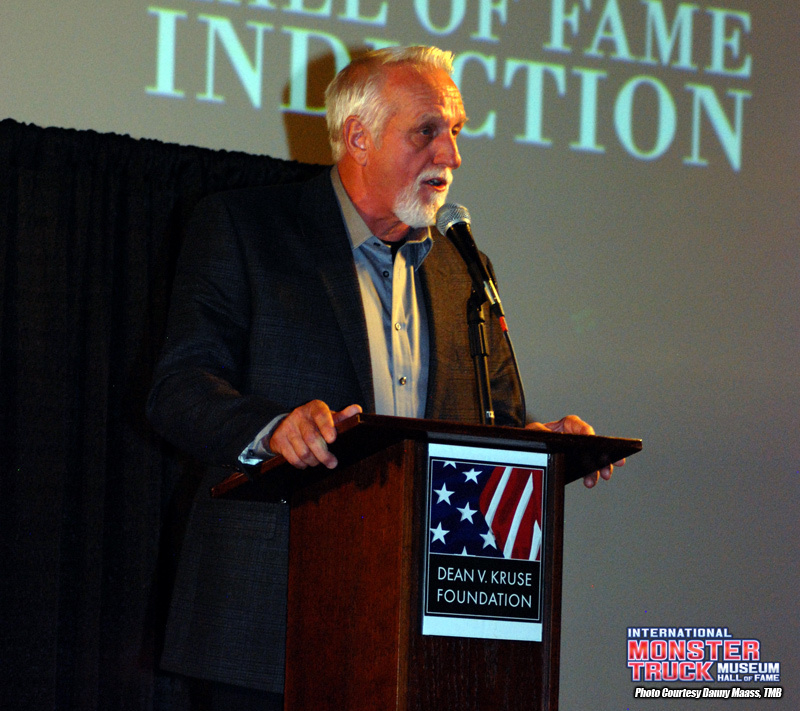 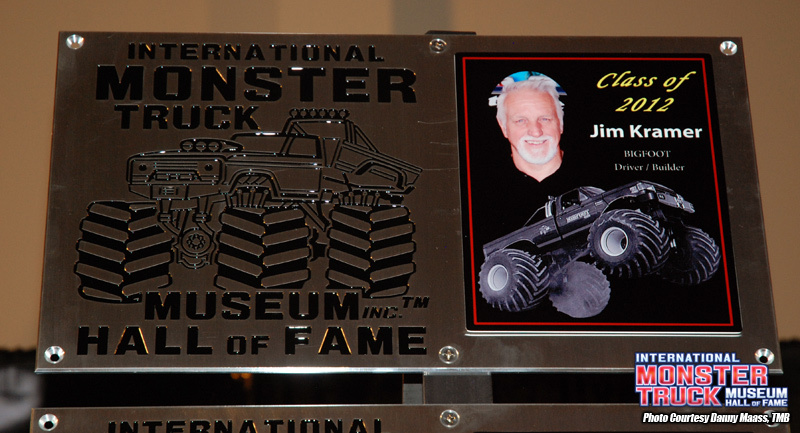 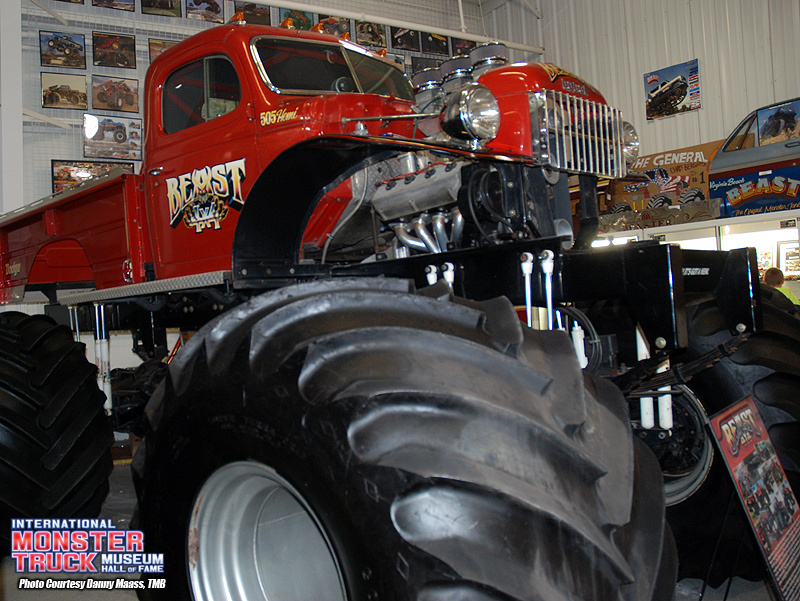 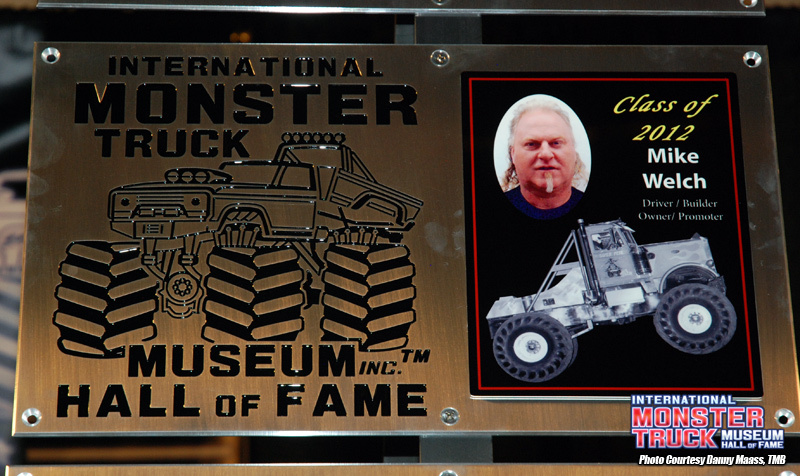 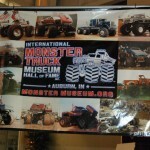 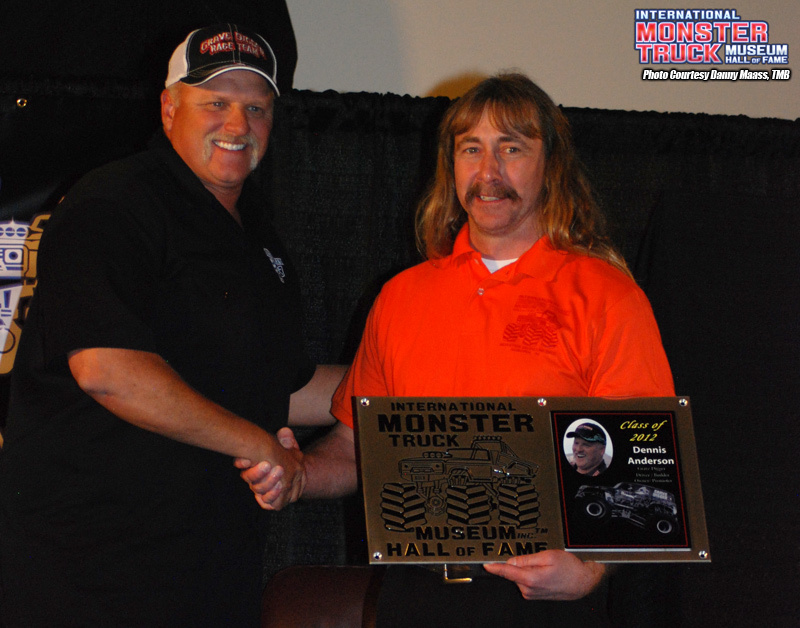 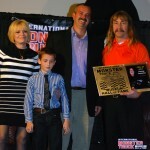 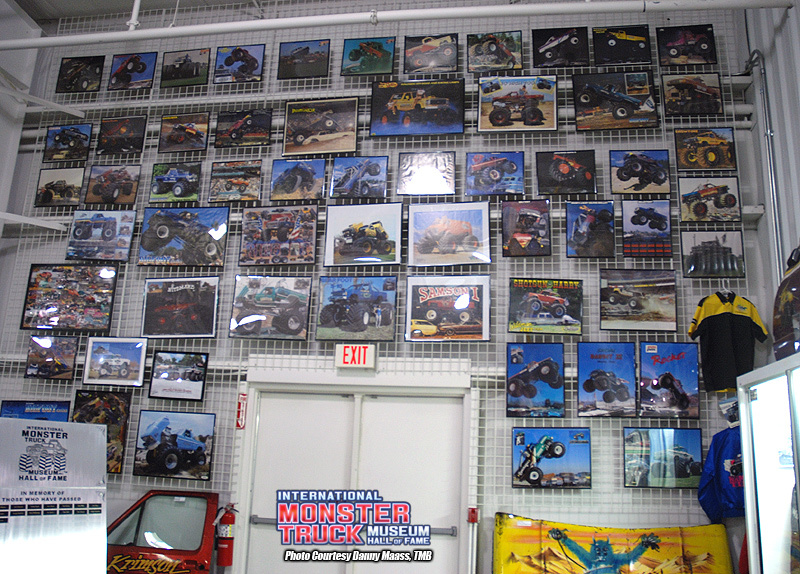 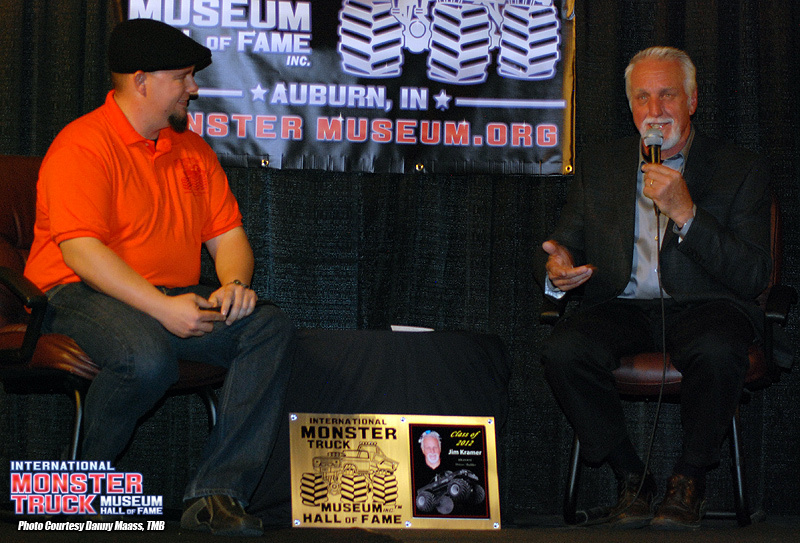 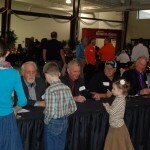 (Auburn, Indiana – IMTM PR) – The International Monster Truck Museum & Hall of Fame would like to thank everyone who attended our 2nd Annual Induction Ceremony & Reunion this past weekend in Auburn, Indiana. 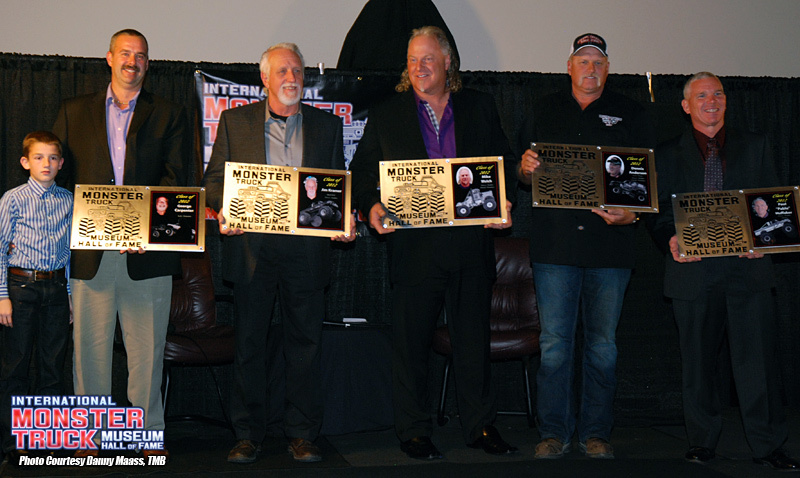 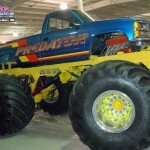 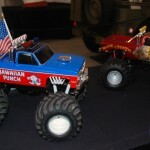 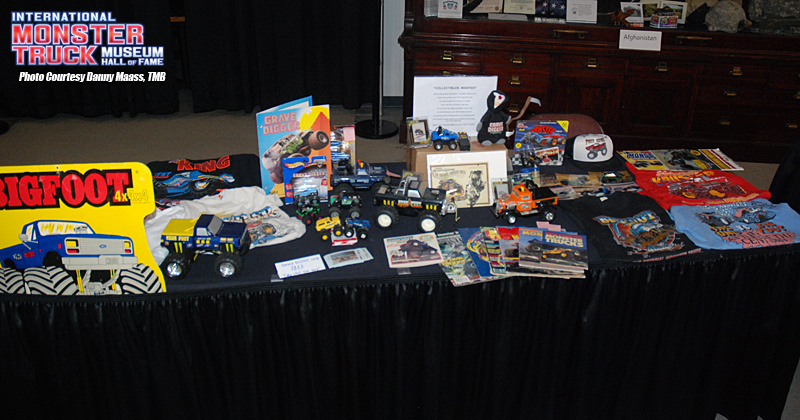 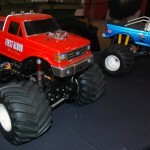 It was a great weekend as we celebrated the history of monster trucks and enshrined 5 legends of the sport in the Hall of Fame. 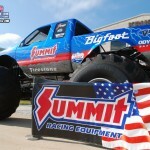 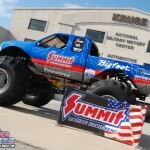 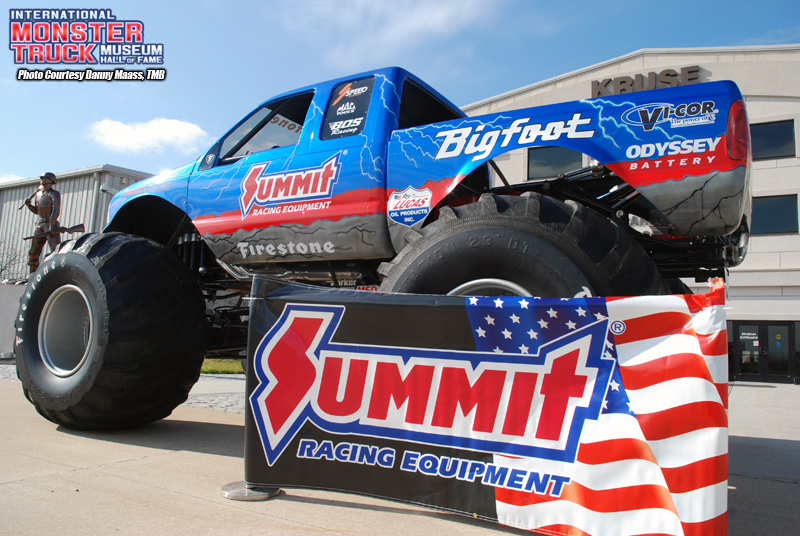 A special thanks to Summit Racing Equipment, our presenting sponsor for the weekend, and to all of our supporting sponsors for their help in making a great weekend possible. 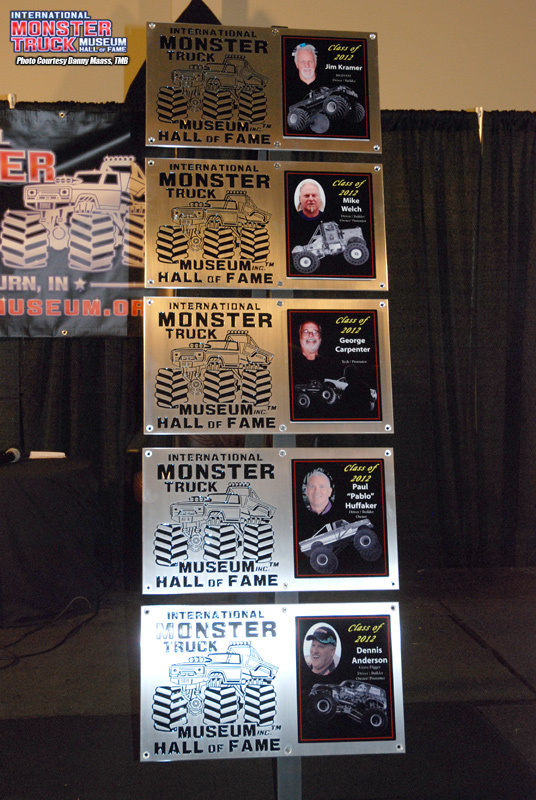 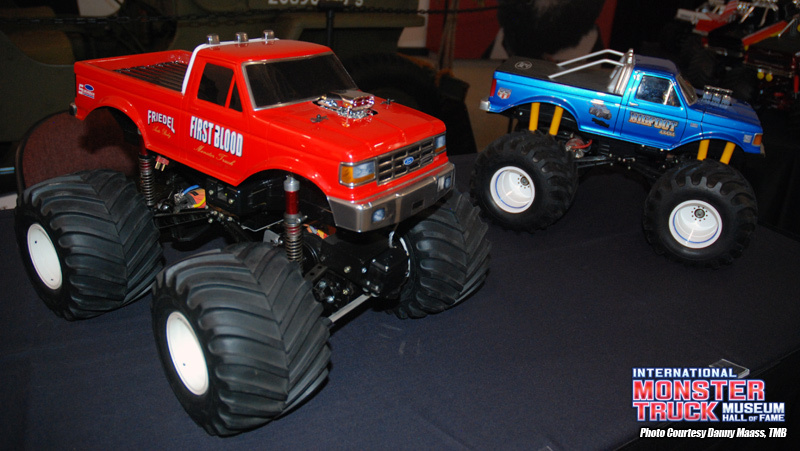 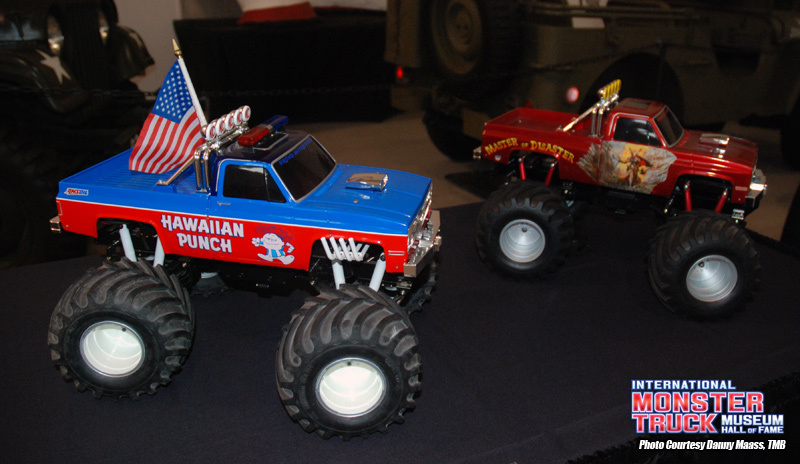 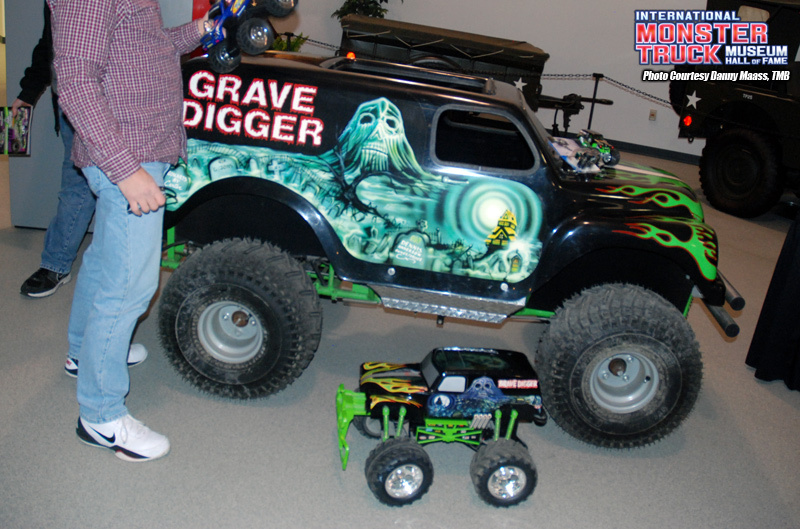 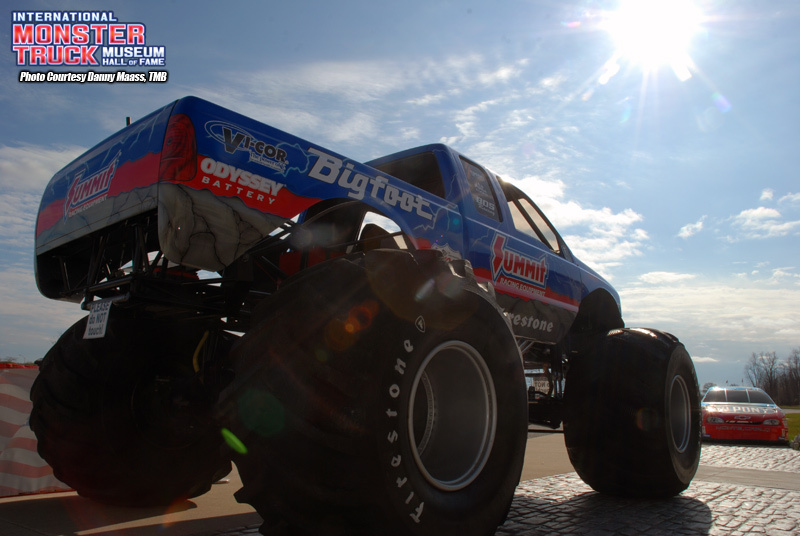 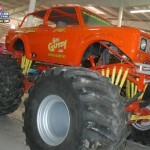 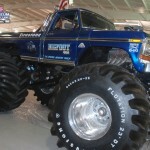 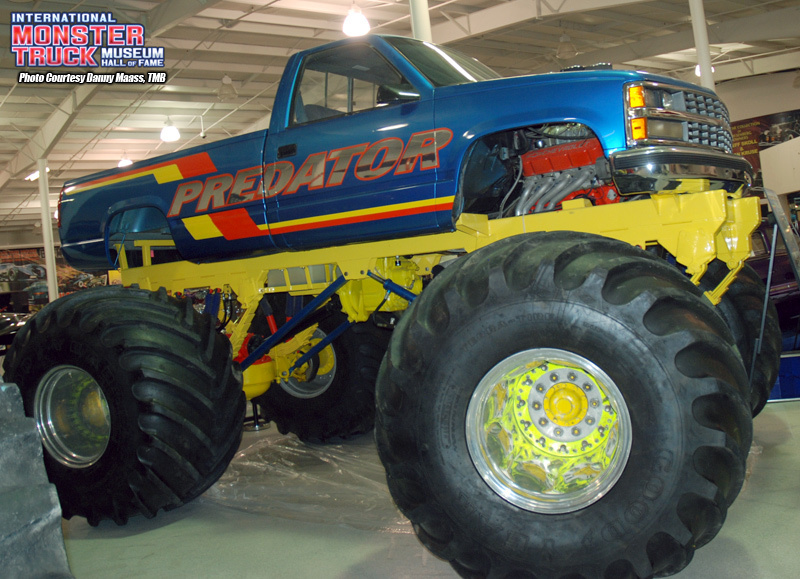 Congratulations to this year’s inductees, Jim Kramer, Mike Welch, George Carpenter, Pablo Huffaker and Dennis Anderson – thank you for all you’ve done for monster trucks! 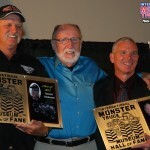 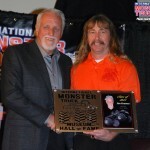 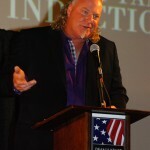 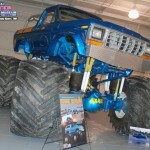 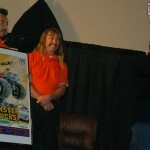 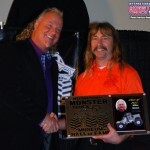 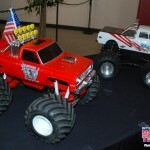 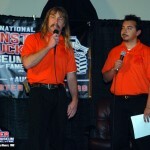 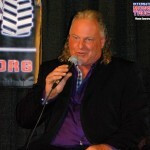 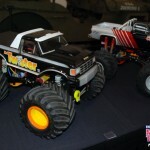 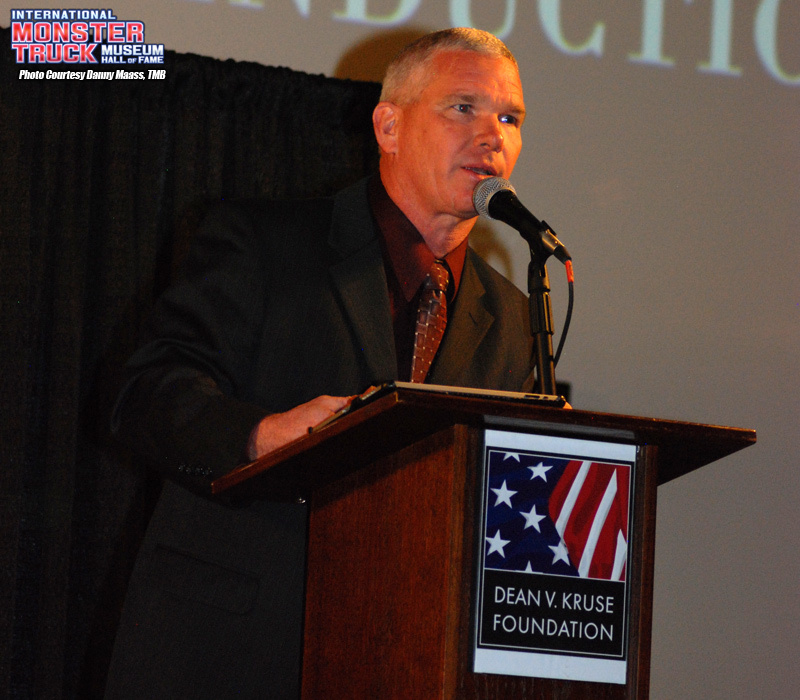 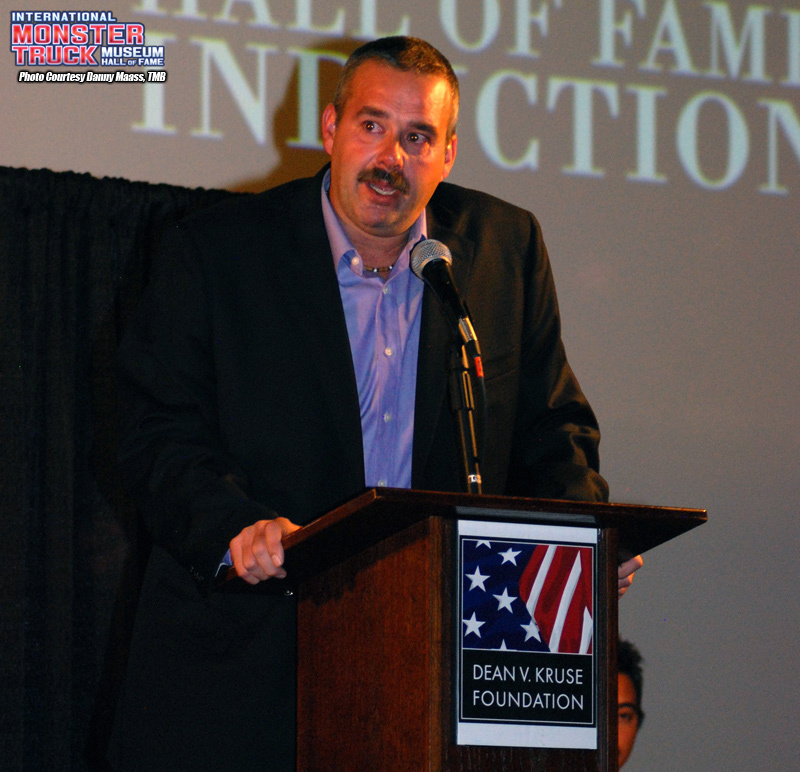 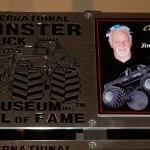 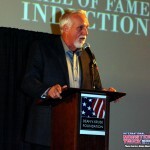 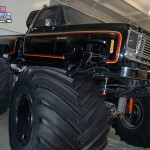 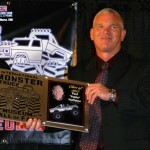 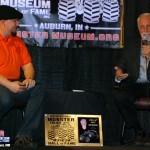 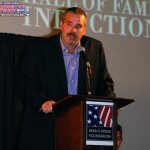 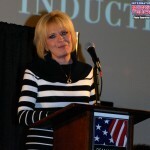 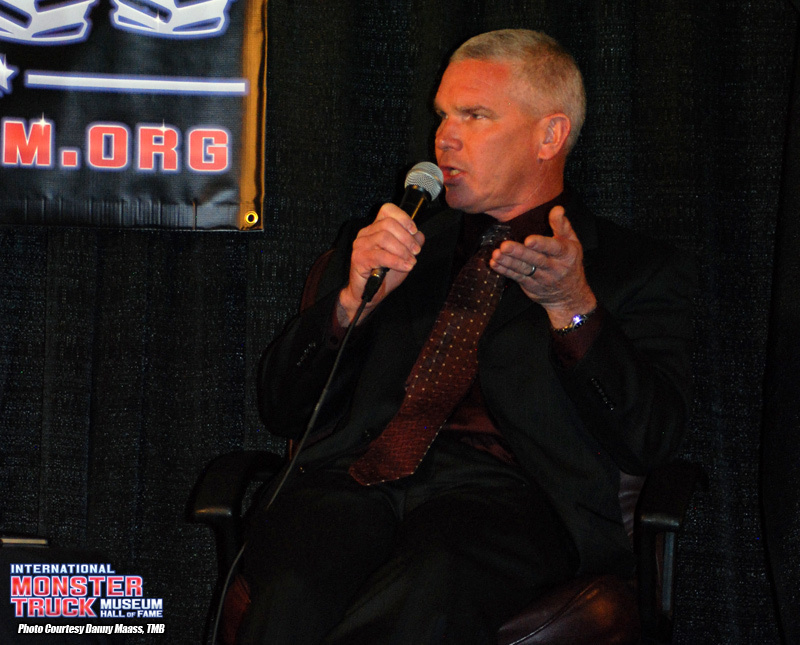 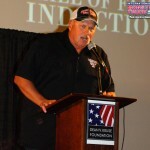 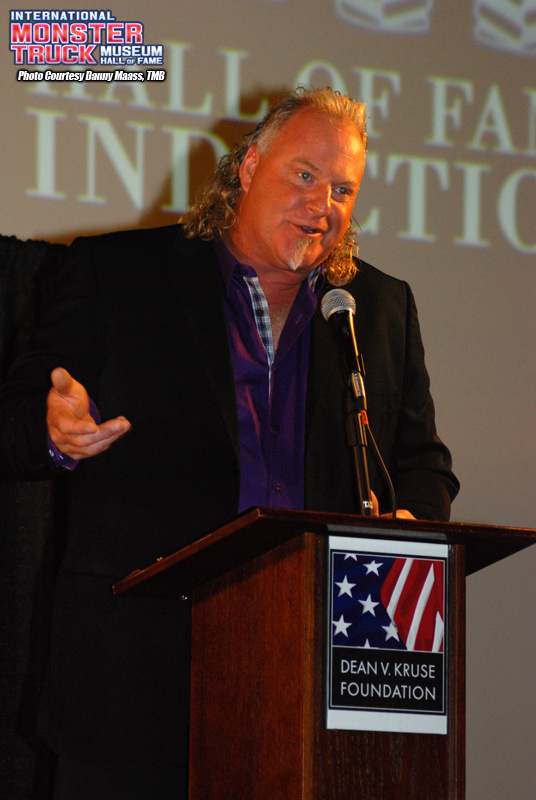 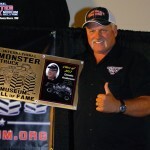 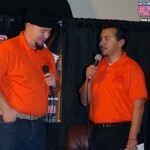 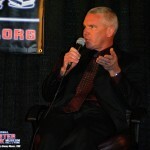 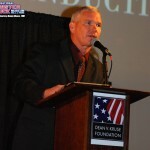 Enjoy this great photo gallery from the Hall of Fame Induction Ceremony courtesy of our friends at TheMonsterBlog.com and photographer Danny Maass! 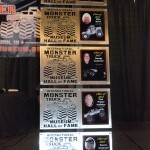 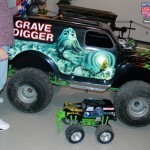 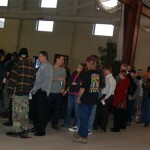 Photos copyright Danny Maass, TheMonsterBlog.com 2012.